The Iremongers are a mean and cruel family, robust and hardworking, living in the Heaps, a vast sea of lost and discarded items. A storm is brewing over Heap House. The Iremongers are growing restless and the whispers are getting louder. When Clod meets Lucy, a girl newly arrived from the city, everything changes. The secrets that bind Heap House together begin to unravel to reveal a dark truth that threatens to destroy Clod's world. 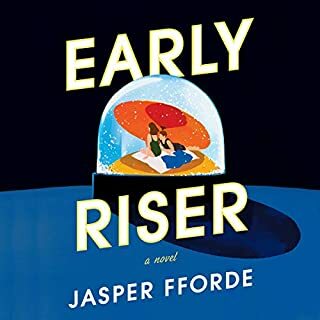 In 1780s London, a prosperous merchant finds his quiet life upended when he unexpectedly receives an unusual creature - and meets a most extraordinary woman - in this much-lauded, atmospheric debut that examines our capacity for wonder, obsession, and desire. One September evening in 1785, Jonah Hancock hears an urgent knocking on his front door near the docks of London. The captain of one of Jonah’s trading vessels is waiting eagerly on the front step, bearing shocking news. 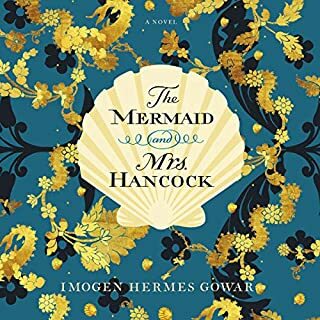 On a voyage to the Far East, he sold the Jonah’s ship for something rare and far more precious: a mermaid. Every Winter, the human population hibernates. Your name is Charlie Worthing, and it's your first season with the Winter Consuls, the committed but mildly unhinged group of misfits who are responsible for ensuring the hibernatory safe passage of the sleeping masses. You are investigating an outbreak of viral dreams which you dismiss as nonsense; nothing more than a quirky artifact borne of the sleeping mind. When the dreams start to kill people, it's unsettling. When you get the dreams, too, it's weird. When they start to come true, you begin to doubt your sanity. Maud Drennan is a dedicated caretaker, but her sunny, capable disposition and snappy quips mask a deep sadness. A tragic childhood event left her in the company of a cast of patron saints who pop in and out of her life like unwelcome tourists. She tries to find solace in her hard work in London...but then she meets the inimitable Mr. Flood. A menace by all accounts, Cathal Flood is a widower living alone in a Gothic Dorset mansion crawling with collector's items and feral cats. The Peacock Feast opens on a June day in 1916 when Louis C. Tiffany, the eccentric glass genius, dynamites the breakwater at Laurelton Hall - his fantastical Oyster Bay mansion. The explosion shakes both the apple crate, where Prudence, the daughter of Tiffany’s prized gardener, is sleeping and the rocks where Randall, her seven-year-old brother, is playing. 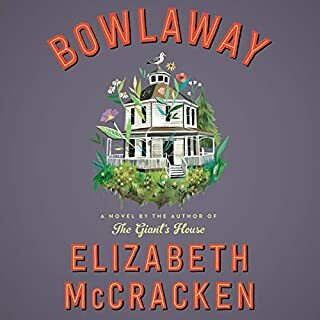 Nearly a century later, Prudence receives an unexpected visit at her New York apartment from Grace, a hospice nurse and the granddaughter of Randall, who Prudence never saw again after he left at age 14 for California. For centuries, the mysterious dark-robed figure has roamed the globe, searching for those whose complicity and cowardice have fed into the rapids of history’s darkest waters - and now it is heading in our direction.It has been years since Helen Franklin left England. In Prague, working as a translator, she has found a home of sorts - or, at least, refuge. That changes when her friend Karel discovers a mysterious letter in the library, a strange confession and a curious warning that speaks of Melmoth the Witness, a dark legend found in obscure fairy tales and antique village lore. Evelyn set aside her career to marry, late, and motherhood never became her. 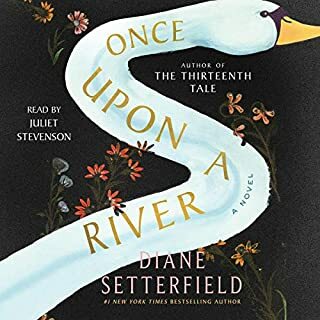 Her daughter, Laura, felt this acutely and wants desperately to marry, but she soon discovers her husband, Gabe, to be a man who expects too much of everyone in his life, especially his musician son. Grace has moved out from Laura and Gabe’s house but can’t seem to live up to her potential - whatever that might be. In A Cloud in the Shape of a Girl, we see these women and their trials, small and large: social slights and heartbreaks; marital disappointments and infidelities; familial dysfunction; mortality. The wry, macabre, unforgettable tale of an ambitious orphan in Revolutionary Paris, befriended by royalty and radicals, who transforms herself into the legendary Madame Tussaud. In 1761, a tiny, odd-looking girl named Marie is born in a village in Switzerland. After the death of her parents, she is apprenticed to an eccentric wax sculptor and whisked off to the seamy streets of Paris, where they meet a domineering widow and her quiet, pale son. Together, they convert an abandoned monkey house into an exhibition hall for wax heads, and the spectacle becomes a sensation. As word of her artistic talent spreads, Marie is called to Versailles, where she tutors a princess and saves Marie Antoinette in childbirth. But outside the palace walls, Paris is roiling: The revolutionary mob is demanding heads, and...at the wax museum, heads are what they do. 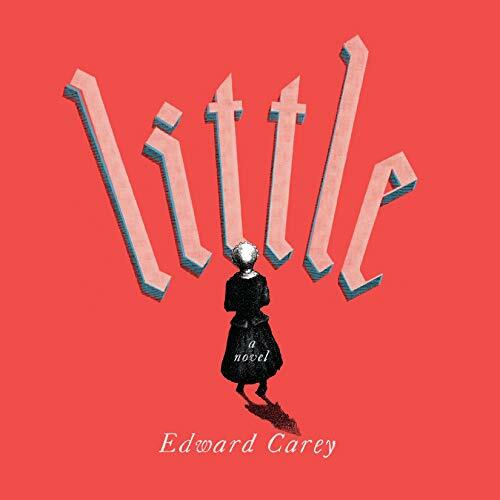 In the tradition of Gregory Maguire's Wicked and Erin Morgenstern's The Night Circus, Edward Carey's Little is a darkly endearing cavalcade of a novel - a story of art, class, determination, and how we hold on to what we love. I very much enjoyed this somewhat strange and slightly dark book about the woman who came to be known as Madame Tussaud. There’s much to be enjoyed here by lovers of the French Revolution, but also readers who appreciate wax museums, taxidermy or bone rooms. There’s a wonderful quality to this book, like a room filled with long-forgotten and dusty treasures. It seems to invite you to brush away the cobwebs and come inside. Also, I feel that the narration is perfect for this book. I highly recommend it! 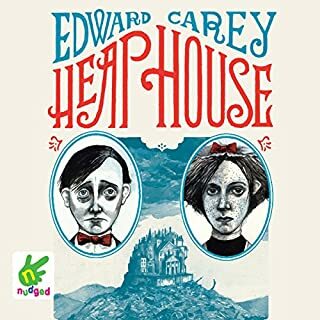 I am such a fan of Edward Carey, and this story made me into a full-fledged devotee. I usually have audiobooks on as background while I work, but with each new name that popped up I found myself Googling bits of the story. What a life and what an amazing way to tell it. Beautifully told and beautifully narrated. I should have done some research about the author before downloading this audiobook because I am not a big fan of his writing style. To me the story was weird, filled with strange details and bizarre situations that made it hard to follow. The narration though was excellent. I think Jayne Entwistle was the only reason why I was able to finish listening to the story. Entwistle is always a great narrator especially for historical readings. Fantastic listen. Several times I was moved to say out loud, "thats crazy! how can you just do that!" or something along those lines. Marie Tussauds is so forward and big for such a little person! I know this is fiction but she did get rather far in the world and survive during horrible times. Edward Cary does a great job of giving voice to the people of the time and just the right voice for Little as well. I was sucked in from beginning to the last. Thank you for helping me to know this great little lady! This was a lovely book spanning a difficult time in France. Little rises, falls and rises again. Very enjoyable from start to finish, albeit with lots of tragedy along the way. 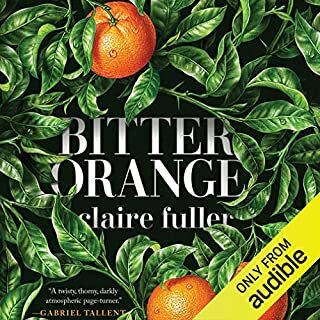 I loved The Audible narrator but after listening went to my Kindle and read it. Sort of a Charles Dickens meets David Lynch. I highly recommend this book! This book was amazing! The preciseness of language the author uses paints such a vivid picture you feel like you are an observer in the room. The careful crafting of mood and language to convey a response in the reader keeps you captivated from first word to last. The audio performance is stunning and takes the story that last inch into your imagination and provides vivid imagery of the story. Worth the read or listen! This is a book to listen to rather than read. The story is interesting but gets rather drawn out. I was glad I was walking or shopping while listening rather than spending precious hours reading. However, I’m glad I ”heard”the story.